You might not need someone to tell you what colors to use, or how to make your wedding perfect, but if you want to know what the price is for a DJ, or where to look for the right size wedding site - just ask! I can help with any and every detail. A timeline will be created to help you with your planning, as well as a detailed one to get you through your big day. Two months before your wedding, we'll update it for you and create one just for your bridal party. We'll brainstorm your ideas with you, work on your budget and discover the best way to share your love story. We'll answer your etiquette questions, help you come up with your event design, and guide you into your wedding planning. 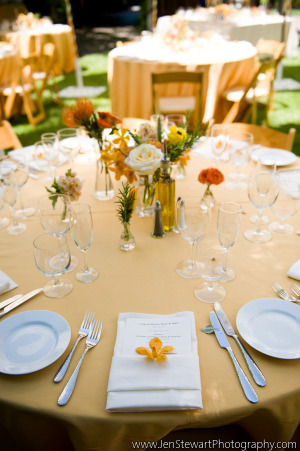 We'll create a budget plan for your wedding and guide you through costs in the wedding world. Learn where and what to pay for. Location search for your ceremony or reception site. After a consultation to discuss your needs, taste, and budget we'll begin to narrow down your search until we find your perfect site! ... please ask about pricing for rehearsal dinner & brunch venues. When planning a home wedding, or at a unique venue we will do a site walk through and give you a professional's opinion on the best floor plan, for your dream wedding. This is fantastic if you’re doing a DIY wedding, and will have friends and family help with your set up. I’ll give you a blueprint to follow. Assistance on your wedding day for the ceremony only. Bridal entourage’s guidance, setting up your unity candle or other ceremony items, cueing your music, and getting you to the "I do's!". Perfect when your ceremony is in a different location from the reception, or when your reception site will handle your party . This includes 1 hour for rehearsal. We’ll look over any bids or contracts from your vendors. that you’d like. By reviewing them, I can help point out any areas you may need to discuss further before singing on the dotted line. Perhaps something isn’t included as you’re expecting, or maybe they’re not planning on bringing enough staff, or maybe they’re charging for somethings that isn’t typical. I can help point out all of those things far in advance of your wedding. If your wedding is just weeks away, this is still helpful as there is still time to make any needed adjustments. We offer assistance in setting up all of you finishing touches. From your candle lighting, to placing your seating chart, and/or place cards. Let us take care of setting out your guest book, favors, etc. We can take your personal decor and set it up as you’ve envisioned, leaving you and your family available to take your wedding day photos! Let us set up, as you get ready for your Big Day! When you want a truly personal wedding ceremony, we can help! Even if you’re planning to write your own vows, we can help by guiding you through the pace, the required elements, and how to make it all that you hope for. We'll work with you to get a sense of who you are and create your own ceremony. Perfect when having a friend or family member perform your ceremony. This is very helpful when your wedding officiator is a friend or family member with little experience. We will work with you on your processional, recessional, and receiving lines- includes initial consult & 1 hour of rehearsal. 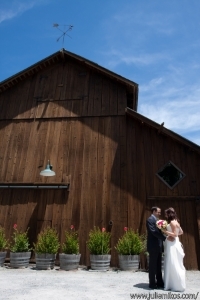 Let’s discuss your Wine Country wedding. I will listen to you and your vision of what you’d like for your wedding day. That will help me to guide you to the best vendors for what you’re looking for. All within your style, your budget, and available on your wedding date. This is very helpful when you’re planning from a far. So now you can stop being overwhelmed by all those choices! Don't see what you need? Just ask, and we'll create something custom just for you!